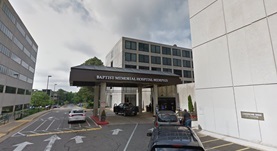 Dr. Jesse Davis is a thoracic and cardiac surgery specialist in Memphis, Tennessee and he works at several hospitals in the area, such as Baptist Memorial Hospital-Memphis and Memphis Veterans Affairs Medical Center. He got his diploma from University of Mississippi School of Medicine and did his internship at University of Mississippi Medical Center. Dr. Jesse Davis did his residency in General Surgery at University of Mississippi Medical Center and a fellowship in Thoracic Surgery at St Vincent Charity Medical Center. The doctor is certified in Surgery, Thoracic Surgery and has an experience of more than 20 years.